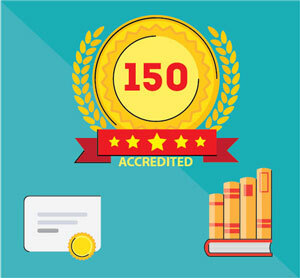 The 150 Hour Comprehensive Teacher Kit provides training for both new and experienced teachers to enhance the quality of their teaching and to update them on the current trends in TEFL.This kit includes video-based instruction with essential modules on Lesson Planning, Approach & Methodology, among others. In addition to your online course, you receive 5 e-books to continue your professional development. Our Comprehensive training package includes everything you'll need to begin a TEFL career. You'll study all 6 course modules and gain our most comprehensive TEFL/TESOL qualification. In addition to this you'll receive the Ultimate TEFL Teacher's Pack of 5 teaching e-books. You will also be able to request a CV/resume check from our team before applying for TEFL jobs. You'll cover everything you need to know during this course and feel ready for a teaching adventure on completion. Each course module contains 4-8 bite-sized sections. The sections will be a mix of video tuition where you're guided by the course presenter, classroom footage and interviews with teachers and learners, reading sections with diagrams, illustrations and tables for you to study. At the end of each unit you'll watch real classroom footage of our teachers and students in action. They'll give you a flavour of what life in the classroom is really like and the best practices of how to teach English. Receive the Ultimate TEFL Teacher's Pack of teaching resources. This contains 5 downloadable e-books that give you classroom resources, job hunting help and teacher development guidance.